Credit: Peter Jennings. Winning entry by Andrea Hows. 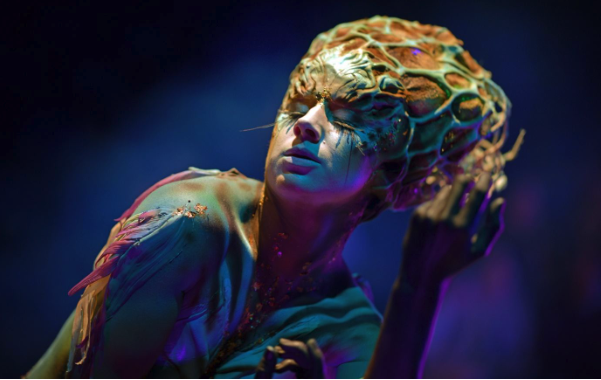 NZ Body Art Showcase 2018 took center stage in Q Theatre’s Rangatira, showcasing the surreal works from some of NZ’s very best SPFX artists. The theme this year (WATER, THE ELEMENT) inspired a bold array of designs that captivated the buzzing sold out crowd that surrounded the catwalk stage. Artists took to this year’s theme, delving into the ways in which humans have used, abused and explored the essential element. The five judged categories inspired an environmental consciousness that seeped into the winner’s work. The overall supreme winner of the 2018 NZ Body Art Showcase was Andrea Hows, who turned heads with her stunning prosthetic work and painted attention to detail. Her otherworldly design went on to take out the Pollution category award, while Hows’ model Lucy Lynch took home the Supreme Performance award for bringing her painted character to life on the catwalk. Special highlights of the night included seeing Emma Van Santen win the Outstanding Youth award, and long-time entrant of NZ Body Art Showcase, Australian SPFX artist Louise Paterson take home the Supreme SPFX award for her breathtaking entry this year. Hayley Tamaka turned heads with her entry that won the Supreme Body Paint award this year. They were joined by Hazel Munroe, Olivia Howard, Stephanie Kendall and Nastassja Benefeld who picked up awards in their respective categories (see full list below). Judges this year included Sir Richard Taylor (Weta Workshop), Jonathan Smith MNZM, Hannah Tasker-Poland and Kelly Ren. NZ Body Art Showcase has always prided itself of providing a strong platform for well-established and upcoming SPFX artists by catapulting them onto a national stage. Historically, artists from New Zealand and all over the world have come together to take part in the Southern Hemisphere’s largest and most significant body art event. Read about the history and the culture around NZ Body Art Showcase here, in New Zealand Herald journalist Dionne Christian’s close up piece, chatting to the founders, the artists and the people that make this one of the best showcase’s for body art in the world. 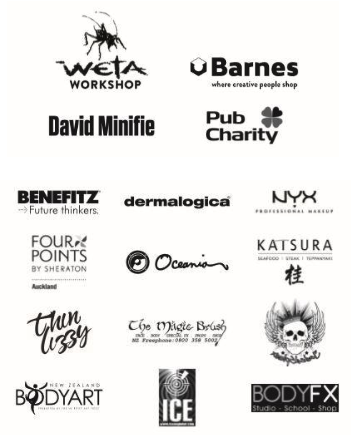 NZ Body Art Showcase is funded with the fundamental support of Pub Charity, and is proudly sponsored by Weta Workshop, Barnes, Dermalogica, David Minifie, Ember Vision, Wet Paint Magazine, Benefitz, Oceania Production, Katsura Restaurant, Thin Lizzy, BodyFX and NYX Cosmetics. Stay updated for details on the 2019 Showcase here at www.bodyartawards.co.nz or follow NZBA Trust on Facebook, Instagram, Twitter or YouTube.